Under your home moisture and water can build up. 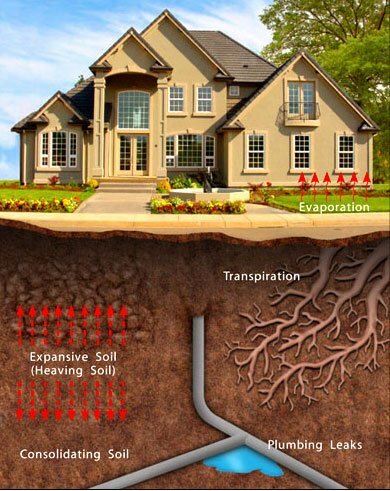 This can cause changes to the soil around your foundation or your concrete slab. When this occurs, voids can be created. When a void is present your concrete slab is going to settle. This settling can cause cracks in your slab, which presents a large problem for you as a homeowner. It presents a safety issue for you and your family, but it also lowers the value of your home. For slab crack repair South Dakota you can count on the team at Rapid Foundation Repair. There are a few solutions or repairs that can be considered for slab cracks. You can fill the cracks with epoxy injections. Usually a concrete grout or epoxy injection can be used to fill the crack. This in many cases makes the area of the crack even stronger than it was before. Also, there are solutions such as helical slab brackets, which is a product from Earth Contact Products, the “very best” products for foundation repair and waterproofing in the industry. These brackets are designed specifically for concrete slab support. We offer mudjacking services as well as carbon strips that can be added to walls and other areas for support. 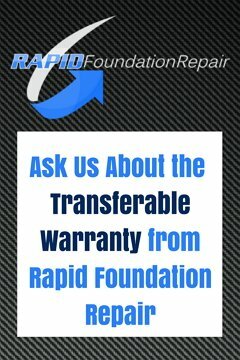 Rapid Foundation Repair offers estimates so you can know prior to the project what the scope and cost will be. We are Better Business Bureau accredited and have experience and know how to diagnose and fix your slab cracks. We have a full team of engineers and installers that you can count on and work in a service area that covers South Dakota and areas in Wyoming. Don’t wait for that slab crack to expand and get worse. Let the professionals at Rapid Foundation Repair tackle your slab crack problem and restore your home’s value. For any concerns on call us today!